IndiGo Airbus A320-232(WL) VT-IFK with Sharklets. Photo copyright Vedant Agarwal. Just a day after announcing a slew of new flights from Vishakhapatnam (Vizag), the home airport of civil aviation minister Ashok Gajapathi Raju, India’s largest domestic carrier IndiGo, has announced a slate of 16 new flights to eight destinations. 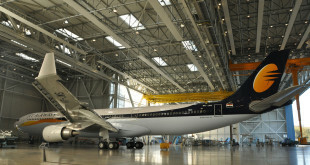 The airline now has 81 Airbus A320’s in its fleet and is expanding its fleet at about one aircraft a month. 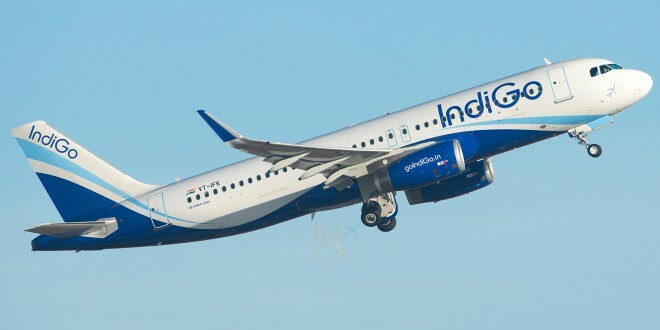 With the lack of a turbo-prop capable of short-field landing, IndiGo cannot operate to some of the smaller cities like Hubli etc., which do not have runways long enough to cater to jets and therefore we see the airline operating multiple frequencies on many routes. This is posing a challenge to the airline in maintaining passenger load factors, especially on mid-day flights. The new focus on Bangalore by IndiGo and other Indian carriers like Jet Airways and SpiceJet is driven by the competition with new entrant AirAsia India. The Tony Fernandes promoted carrier currently uses Bangalore as its hub and flies to Goa, Kochi and Chennai. AirAsia will soon commence services to Chandigarh and Jaipur and hence IndiGo is commencing flights before the new challenger gets its second aircraft with which it will expand its schedule. AirAsia has countered with aggressive fares ahead of its planned launch. 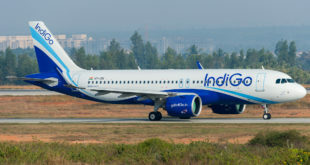 Yesterday, IndiGo announced new flights connecting Vizag with the capital New Delhi and Hyderabad. The airline also announced a new flight between Mumbai and Hyderabad. All flights in the two schedules are daily operations.